What Does Aids Look Like? Human Immunodeficiency Virus, or HIV, is a virus that results in Acquired Immune Deficiency Syndrome, AIDS. HIV compromises the recipient’s capacity to deal with cancer and infections. When HIV advances, it becomes AIDS. Patients are considered to have AIDS when their CD4 T-cell total falls below 200. People with Kaposi’s sarcoma, skin cancer, or a lung disease, pneumocystis pneumonia, can also have AIDS as these diseases are common to people with AIDS. Symptoms of AIDS may start out as something similar to flu. This could last from a week to almost a month but real symptoms of HIV can wait to show up for several years. Once the symptoms do show up, both sexes can find themselves with thrush, which is a yeast infection that can be found on the tongue. Women can experience pelvic inflammatory disease or serious vaginal infections. 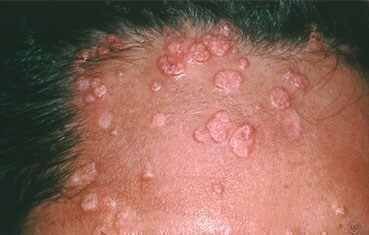 A person could find themselves with shingles long before they find out they are HIV positive. If you have tested positive for HIV and don’t do anything to treat it, don’t think it will just go away because you haven’t had any signs lately. In fact, it would take around 10 years for it to progress to full blown AIDS. By then your immune system would no longer protect you from many illnesses and diseases that a healthy person would not have to worry about. What does AIDS look like? The skin conditions listed below may give you something to look out for. A common condition is Kaposi’s sarcoma, or KS. Someone could have one of these conditions but not necessarily have HIV/AIDS. This infection is a form of yeast infection called candida. Its symptoms include lesions on the tongue and inner cheek of the mouth. They can also spread to the gums, tonsils, tongue or roof of the mouth. The creamy white lesions are similar looking to cottage cheese. They may be painful and bleed if scraped while brushing your teeth. For those with HIV, candida can spread to the lungs, esophagus or liver due to the weakened immune system. This type of cancer is actually a type of herpes and is common in those who have HIV/AIDS. It affects the mucous membranes and appears as purple lesions on the skin. With a patient’s compromised immune system, it can easily take over additional parts of the body and select internal organs. 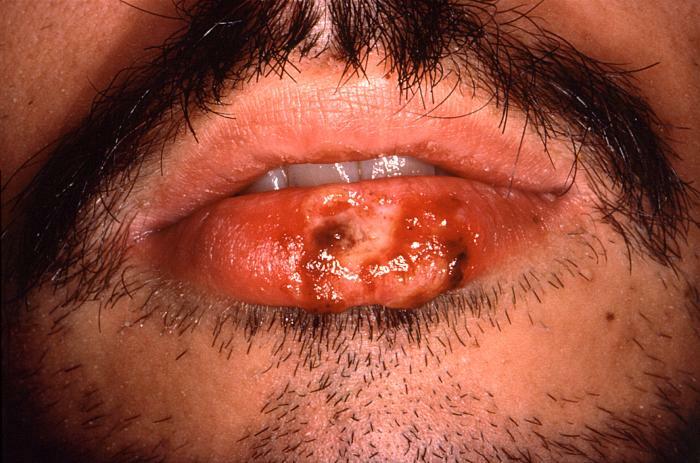 An infection that develops as a result of the Epstein-Barr virus, symptoms here are white lesions that appear on the lower portion and sides of the tongue. It is usually found to be one of the beginning signs of HIV/AIDS. This infection consists of bumps on the skin that are flesh-colored or white that go away on their own. Brought on by a virus, this infection is very contagious. It can be worse for those with HIV because of the drain on the immune system. The best way to deal with this is to take care of the HIV and once the immune system gets stronger the infection will take care of itself. HSV-1, or herpes simplex type 1, usually shows up as a cold sore near the mouth. The other type of herpes, HSV-2, or herpes simplex type 2, is a sexually transmitted disease also known as a STD. This virus stays in a person's body once they are diagnosed with it. There is no cure and it is kept under control with medication. What does AIDS look like? Shingles can be a painful link to HIV/AIDS. Anyone who has ever had chicken pox can end up with shingles, or herpes zoster. 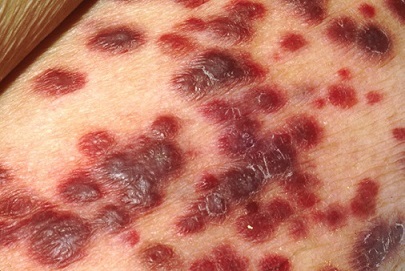 Symptoms of this virus include a numbing or tingling feeling on the skin along with painful sores and blisters. The pain can be severe depending on how soon it is diagnosed and can last for quite a few weeks. It cannot be cured but can be contained. 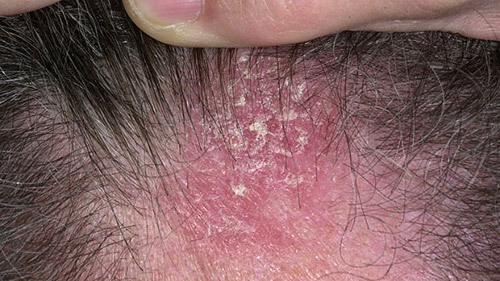 This skin condition results in patches of skin that are itchy and can be found on the scalp, knees, elbows, and base of the back as well as in the fingernails. 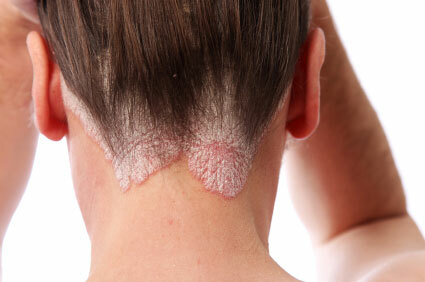 It cannot be cured but it can be treated with topical creams and vitamins to keep it under control. This skin condition centers around the sebaceous glands, which can be found on the face, head, upper back, groin, and chest. The skin becomes flaky and red when the glands put out too much oil. You can keep this condition under control with certain shampoos but there is no cure. People with HIV can see some relief when their HIV and immune system improve. With the improved treatments for HIV many people are living longer. One way to determine "what does AIDS look like" is by the changes in the shape of the person's body. Lipodystrophy translates to an abnormal change or growth of fat on the body. Visceral fat affects the internal organs and can cause diabetes, stroke or heart attack. Subcutaneous fat occurs under the skin. In someone who has HIV it will turn into a loss of fat and can drastically change a person’s appearance. The problems with the fat gain around the stomach area are that it can interfere with the body’s organs. Higher blood sugar levels and cholesterol can put a person with AIDS at a higher risk of diabetes, stroke, and heart attacks. Extra fat that gathers around the face, neck, shoulders, and breasts is more of a physical annoyance than health risk. Headaches, sleeping difficulties and problems breathing could occur. As a woman's breasts get bigger, it could add to back pain. And extra fat around the face will make it look more round and more full. Loss of fat in the face can make a person look older and changes their physical appearance but there are no health risks.